EMS professionals from all walks of life descended on the Omni Shoreham Hotel in Washington, D.C., this past week to be honored as the 2017 Stars of Life. The Stars were recognized by the American Ambulance Association (AAA) for their exceptional duty, service, and bravery while serving their communities as EMTs, paramedics, and as other ambulance services members. 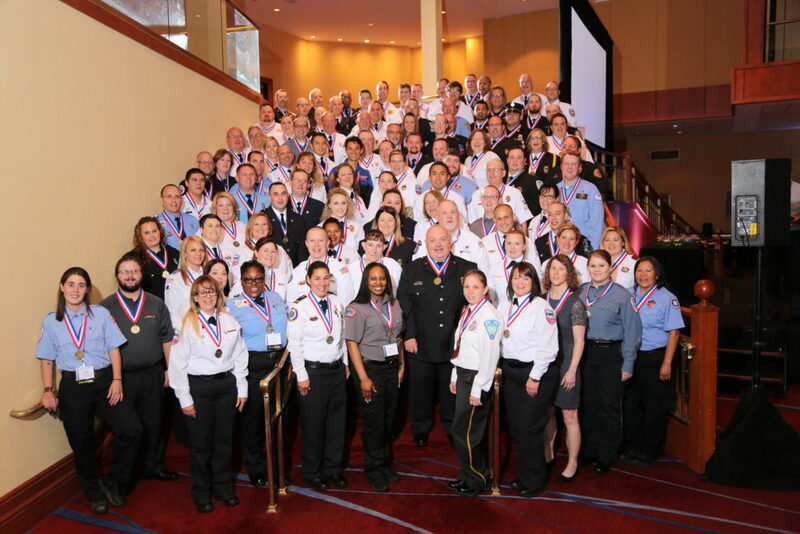 107 Stars celebrated this distinction with their friends, family, and peers during the event, held June 12-14, which also shined a light on the importance of the services EMS professionals provide. The Stars, hailing from across the country, plus Trinidad and Tobago, began their celebration with a luncheon, where their achievements were commemorated with a medal and a pin for their exceptional service. During the luncheon, keynote speaker Zubin Damania, MD, aka ZDoggMD, used humor and songs to address the future of health care and to congratulate the Stars on their award (along with garnering a few laughs) before AAA President Mark Postma presented the Stars with their medals and pins of recognition. While Damania provided some humor and the Stars spent some time taking in the sights around the nation’s capitol, the following day pr ovided the honorees an opportunity to head down to Capitol Hill to do some more serious work. 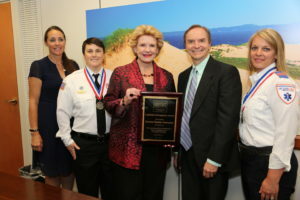 The Stars met with members of the Senate and the House of Representatives to discuss the importance of EMS-related legislation, such as Medicare ambulance relief and add-on payments. The Stars hoped to convince Congress to support future measures that would provide critical resources and help improve EMS services. In addition to discussing important EMS policies, the Stars were honored by their representatives for their work in their community. Over 100 meetings took place between Stars, the representatives, and their aides. 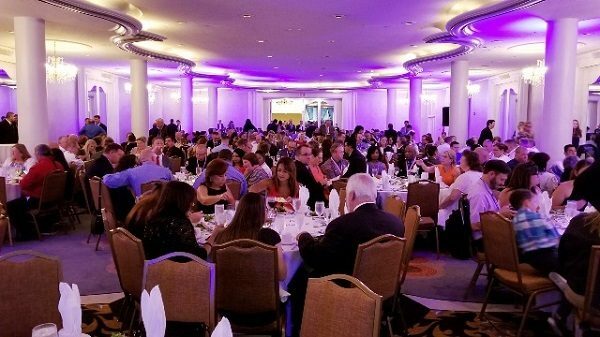 The final night of the event brought all the Stars together, along with family and friends, during an awards banquet and dinner. During the event, the Stars were presented with plaques and commended for their exemplary work and for being an inspiration to all those working in the EMS field. Learn more about the 2017 Stars of Life. This entry was posted in Events, Stars of Life, Uncategorized and tagged Medicare, Washington D.C.. Bookmark the permalink.